A grueling week of 18 hour days that I thoroughly enjoy has come to an end. 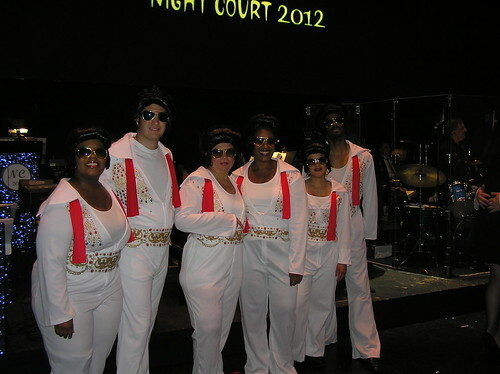 "Night Court" is an annual production by the Houston Bar Association to raise proceeds for charity. This year's show was "Viva Laws Vegas" complete with dancing Elvii. This year was different. We were a conductor-less orchestra on stage rather than in the pit, made all the more difficult as we were all facing the audience and not each other. There was no line of site to other players, forcing this one time per year group to really listen to each other. The results were quite amazing. The sound guys at the Wortham Theater said that we had raised the bar several notches from previous performances. We were short on the bass line for one piece. Since I had a Cing, and had a whopping one year of lessons on cello several years ago, I was granted honorary cello status. 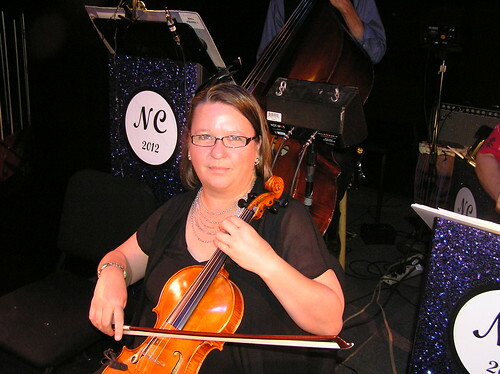 To do the honor justice, I played my viola 'cello style'. It was a fun show, but I'm glad to be getting back to a more normal routine. Next stop is Interlochen.